Rivers have a way of touching our souls, whether we are just sitting or lounging on its banks, or cruising. We’re too often drawn by its calmness or ruggedness or its mystic beauty. In this list, we give you six of the most beautiful rivers in the world, there are certainly more out there but we’ll save them for our future list. 1. Colorado River (USA and Mexico) – Imagine standing in front of a colossal reddish canyon overlooking a spectacular bend of emerald green river below, it will surely take your breath away. The Horshoe Bend in Colorado River is truly one of the world’s most scenic wonders. This 1.4 mile long river spans through The United States (Colorado, Nevada, Utah, Califonia, and Arizona) and Mexico (Baja California and Sonora). Colorado River is responsible for carving out the stunning Grand Canyon for over billions of years. 2. Lena River (Russia) – One of the most spectacular travel experiences is gliding past the Lena Pillars while sailing along Lena River. Measuring 2,779 mile, it’s the world’s 11th longest river and Russia’s primary river. On its end is a massive delta which is ice-covered for 7 months of the year and blissfully becomes a verdant wetland around May. 3. 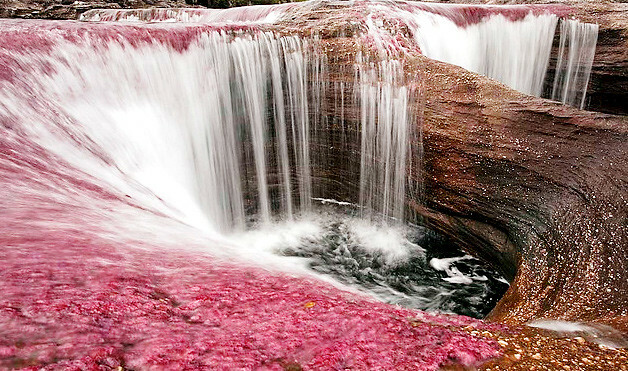 Caño Cristales (Columbia) – This magnificent river in Columbia is known as the kaledeiscopic river due to its 5 colors. Caño Cristales is a mystic river tucked in the wilderness of Serrania de la Macarena in the province of Meta. It beckons tourists due to its beautiful blend of red, yellow, blue, black and green. The unique thing about Caño Cristales is that, it looks like any other ordinary rivers in the world but around September to November it transforms into a kaleidoscopic river. That is because of the algae and plants called Macarenia clavigera residing on the river floor that turns red between the wet and dry season. 4. Nile River (Africa) – Spanning 4132 miles, across 10 countries : Ethiopia, Sudan, Kenya, Congo, Kenya, Burundi, Tanzania, Rwanda, Uganda and Egypt, the NileRiver is regarded as the longest river in the world. 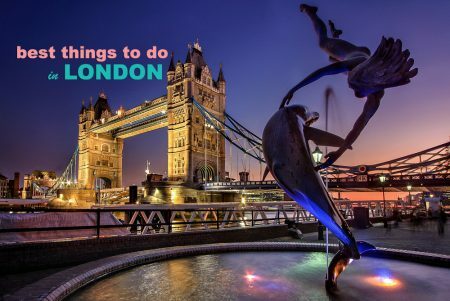 But more than that, what makes it a major tourist draw is its historical significance. It’s been said that without Nile River, Egypt would not have been one of the most astonishing empire in the planet. 5. 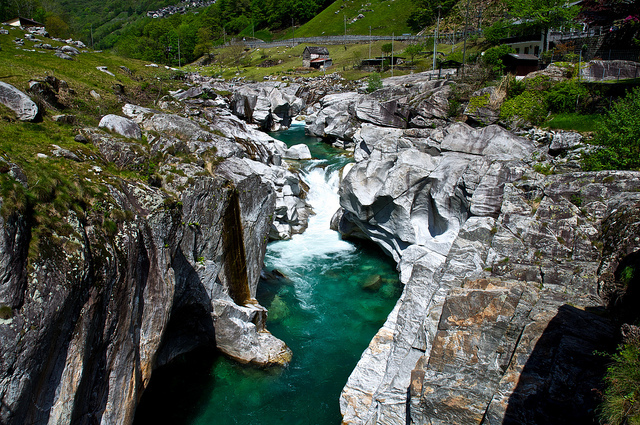 Verzasca River (Switzerland) – A majestic turquoise river untainted by mass tourism lies hidden in the Swiss mountains. The 30 km long VerzascaRiver is clad by verdant wilderness; it originates in Pizzo Barone and gushes into Lake Maggiore which is fringed massive rocks. 6. Li River (China) – Also called LijiangRiver, this 83 km long river snakes through Guangxi Zhuang in China. It is a favorite river cruise of tourists because of its stunning karts formations standing side by side near its banks.